I´ve been away playing for the last ten days, and haven´t fished at all. 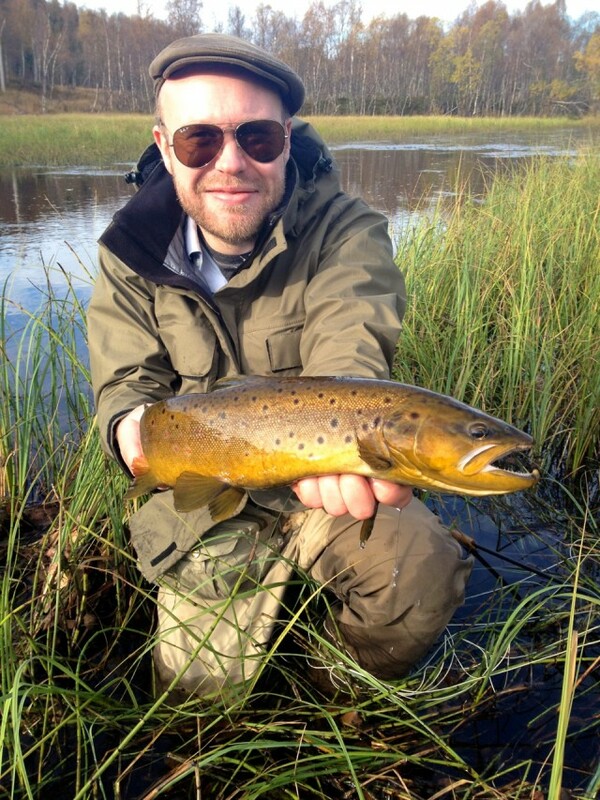 Back up north again, I went fishing for some ours today together with my friend Vegard Stormo. It was a beautiful autumn day with crisp, clear air and stunning colors, and we had a memorable session with several good fish coming to the net, including the cracking brownie above. Typical for autumn, the action was really sporadical: sparse, unpredictable hatches, and tricky fishing. So I didn´t really get any good shots on video today. Now that is a yellow trout! Nice!